General Management Package Deals for Builders or Homeowners. 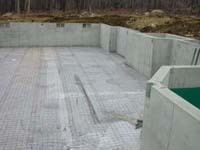 Excavation, Foundation ,Framing Package. Also Roofing & siding. Call Now For pricing! OF YOUR EXCAVATOR, MASON & FRAMER??? Let us handle all three for you. We can give you a helping hand from the ground up! We offer package deals for builders that include but are not limited to excavation, poured concrete foundations, and framing. 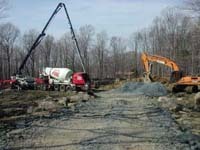 Nick Radtke, Inc. has over 23 years of experience in excavation Poured foundations and Custom framing. 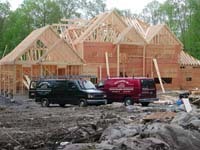 Our company has done Exacvation Foundations & Custom detailed framing for many of the top builders in the Tri-State area for over twenty years now. twenty three years ago, Nick Radtke began custom building in Orange County. In starting to custom build, owner, Nick Radtke experienced the same frustration that many of you may have and that is lining up the timing of your subcontractors. We would like to opportunity to assist your building company to do some of the tasks that you might contract out to numerous different subcontractors. We have the equipment and manpower to offer you a package deal on the excavation, masonry and framing and our hope is to ease some of the stress and frustration of the timing for excavation, masonary and framing work. Give us a call today for a free, no obligation estimate for your next job! Ask For Nick Radtke President. All material contained in this website has been © Copyrighted 2012 by Radtke Homes Inc.